Greetings from the future! 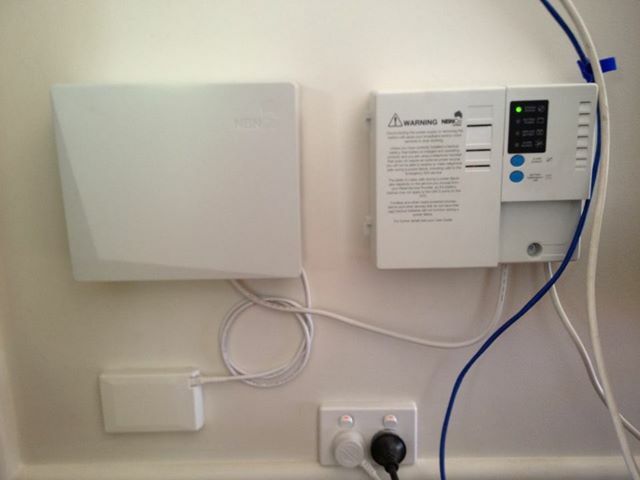 I’m writing this guest blog on my spiffy new NBN connection to announce something we’ve been working on. It’s nice to be writing a blog for this site again. Those that remember me may know that I left Carlton Audio Visual two years ago to head back to university. I’ve been living in Tasmania for that time, working on my Masters of Creative Media Technology. I’ve also been helping out with a few projects at CAV, one of which I’m announcing today. As I mentioned, I’m writing this from my freshly installed NBN connection. As someone who does most of their work via the internet, the NBN has been a long time in coming for me. The promise of low latency and high speeds will improve my ability to get work done. A big part of that is high upload speeds. being able to maintain a high quality video conference or upload files to a server quickly will be a big boost. Pretty saucy. After the initial thrill of the connection had worn off, I started thinking about what it will mean to me. I’ve already noticed a difference - spotify tracks start straight away through sonos. AppleTV previews are much quicker. Uploading images takes no time at all. In short, things are faster, but nothing is life changing so far. But I now have a thoroughly modern piece of communications infrastructure for applications of the future. My university research into remote physiotherapy systems is the kind of service that the NBN will enable. Without getting too political, its also the kind of infrastructure that will allow regional areas such as Launceston to increase productivity and diversify the economy. Projects like this should help - Launceston Catalyst project. So what did I want to announce? We’ve been working on a new website! Before Rab starts hyperventilating, we are not replacing carltonaudiovisual.com.au . Rab is strangely attached to this site (probably because it’s so old, updates are done with a typewriter), so we’re not replacing this site (yet). Instead we will be launching a brand new website - Fanatics Choice! Fanatics choice will be our e-commerce site. You may have noticed we’ve started selling select items from this site. That’s been a bit of a dry run for us as we get the new site setup. We’re happy to report that everything has been a success and we’re looking forward to launching our new site soon. Fanatics Choice is not going to be offering every products we sell - its going to best a curated collection of our finest, along with amazing monthly specials on hot products. In addition we’ll have a range of popular accessories and Hi-Fi bling. It will be another place for you to visit to view our specials and snap up a bargain. We’re hoping to launch very soon, and will of course keep you up to date when it launches. In the meantime, feel free to email me at troy@carltonaudiovisual.com.au if you have any thoughts or suggestions.